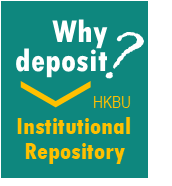 Why do I need to deposit my thesis at HKBU's Institutional Repository? HKBU's OA (Open Access) policy for Research Postgraduate students since Sep 2013 requires that all PhD/MPhil students deposit their theses at the University Institutional Repository, an open collection of scholarly work by all HKBU faculty and postgraduates. Exceptions can be granted in the case of patent applications or under certain special circumstances. What is an EMBARGO and why do I need to fill in the ETD (Electronic Theses & Dissertation) Access Form? 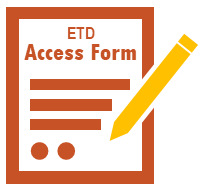 After you submit your thesis or dissertation, you will be asked to sign an ETD Access Form and choose between having your work as Open Access or embargo for 1 or 2 years. You may also need an embargo if you wish to publish through a traditional press that considers open access works to be prior publication. However, most publishers these days are “open” to Open Access and the benefits of OA often out weights non-OA. The University of Florida Libraries have a helpful summary that details Selected publisher policies on reuse of previously published works (see below OACA advantage). OPEN ACCESS | After the Library adds metadata to facilitate searching, your work will be released to the world, thus increasing your research visibility. EMBARGO | Your thesis title, abstract and table of content will still be searchable, but full text has restricted access until your specified release date. 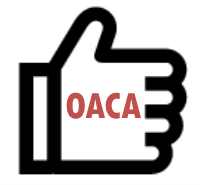 What is the OACA Advantage? Definitive research has confirmed OACA, the Open Access Citation Advantage. A 2014 study based on 1.5 million Scopus-indexed articles by ScienceMetrix.org has reported that overall, OA papers were cited 26% times more, while OACA for institutional repositories was 53%! 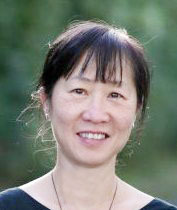 Will Open Access diminish publishing opportunities? Contrary to anecdotal evidence and common perceptions, numerous studies have confirmed that OA ETDs will not diminish publishing opportunities. 83% of journal editors and 54% of university press directors said they either welcomed or would consider publishing ETDs on a case-by-case basis, according to a 2013 study targeted at social sciences and humanities publishers. 80% of sciences publishers indicated likewise in a 2014 follow up study that they welcomed OA ETD submissions or would accept revised ETDs under certain conditions. University of Florida's Copyright concerns of Graduate Researchers Guide has a summary of publisher policies detailing their acceptance of publications based on previously published theses or dissertations that are available open access. MIT Libraries' Thesis Content and Article Publishing page lists publisher policies regarding graduate students' reuse of their previously published articles in their theses, and policies on accepting journal submissions that first appeared in an author's previously released thesis. The doctoral dissertation and scholarly communication | Bring yourself up-to-date with this 2018 overview of changing publication practices among graduate students. ​Theses containing Publications: Rights management and Open Access | Videorecording explaining the theses-containing-publications approach, by University of Sydney Library. ​Theses containing Publications: A firsthand experience | One PhD student at University of Sydney shares the pros and cons of the “publishing-as-you-go” approach. From Dissertation to Book (Second Ed.) | Easy-to-digest book for those navigating the journey from theses/dissertations to publishing. Feel free to contact me if you have questions regarding ETDs, or any other scholarly communication issues.